The past five years have not been good for early career graduates in Australia. Professional employment rates and earnings are down in many disciplines. 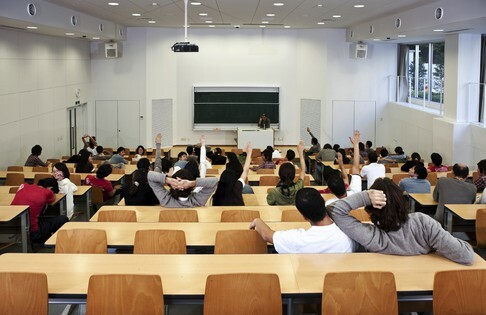 The higher education system’s reaction to these trends shows the strengths and weaknesses of the demand-driven funding system the ­Coalition ended and Labor promises to restore. In aggregate, the additional graduates produced by demand-driven enrolments exacerbated the consequences of two dips in job growth. New graduates inevitably were going to suffer when the global financial crisis, and then more severely the end of the mining boom, reduced employment opportunities. But increases in graduate numbers made things worse. Despite graduate outcomes deteriorating from 2009, an ­enrolment boom began that year and did not finish until 2014. But it did eventually end of its own accord and with little comment. If the government had directly tried to curb growth, it would have been controversial — as the ­Coalition found out when it froze undergraduate funding in December last year. Demand-driven funding also meant that, in many cases, enrolments shifted more quickly ­between disciplines than they otherwise would have in response to good and bad employment news. Positive employment news about the health professions flowed through into student ­choices, and health courses increased their enrolments by more than any other field between 2008 and 2016. 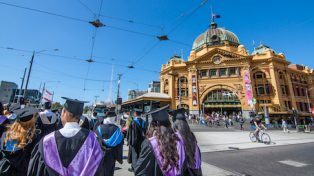 Early career bachelor-degree health graduates, aged 25 to 34, have had their course choices vindicated with high rates of professional employment and increasing income. But graduates in other fields have not done so well. For early career men aged 25 to 34 the fields that did the worst between 2011 and 2016 were engineering and commerce, with median bachelor-degree earnings down by 7 per cent, and science, down 10 per cent in real terms. In all three fields, male graduates in 2016 were slightly less likely to be working full time than in 2011. More seriously, rates of managerial and professional employment declined further for science and commerce graduates from an already low level in 2011. Earnings also were down in these fields for early career ­female graduates, but not by as much as men. Women with children benefited from increased ­access to paid maternity leave and childcare support, which has translated into increased labour force participation. Engineering remains one of the best-paid fields for young graduates, but opportunities were affected by the mining boom winding down. This well-publicised event flowed through to student decisions. Commencing enrolments in engineering fell in 2015 and 2016. But applications were up 4 per cent last year, possibly reflecting trends in the construction industry. Australian Bureau of Statistics figures show that civil engineering employment has grown strongly since 2016. Employment for commerce graduates gets little media attention, but commencing bachelor-degree commerce enrolments peaked in 2014 and declined in each of the next two years. Applications data suggests that commencing enrolments probably declined further last year, with a 2.5 per cent drop in applications compared with 2016. But science applications and enrolments did not respond consistently to labour market trends. After a dip in commencing enrolments in 2015, they bounced back in 2016 to record levels. Applications data shows a 4.8 per cent increase in demand last year compared with 2016. 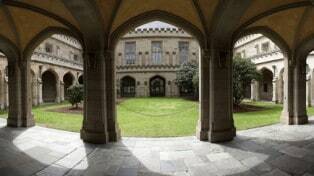 Small exceptions within science, such as ­geology enrolments declining with the end of the mining boom, were more than offset by a continued boom in biological sciences. But too few jobs use biological sciences knowledge and skills relative to the number of students. As a result, many science graduates take administrative and sales jobs that do not use their skills and that pay less than graduates could reasonably expect to earn. With no correction in student numbers, there is little hope of ­science employment results ­improving. Science is the major exception to responsiveness to employment trends in the demand-driven era. A likely reason is that successive governments have promoted science, technology, engineering and maths courses, gaining more attention than occasional reports of poor outcomes for science graduates. STEM promotion continues in schools and in encouraging women to take STEM subjects and careers. The science experience shows that the student market will ­respond to inaccurate, as well as accurate, labour market information. But when government is the source of that inaccurate information, that’s a flaw in a more regulated system of funding universities as well. Science places would have been increased in the past decade without demand-driven funding. No funding system can ever perfectly match graduates with jobs. Enrolments and the economy work on different timelines. Demand-driven funding will tend to oversupply the labour market, but its strength is that it can quickly and without controversy adapt to changing employment opportunities. A long funding freeze on undergraduate places would see enrolments become increasingly out of touch with student and labour-market demand.